The 2017 American Geophysical Union Fall Meeting (11-15 December 2017) embraced the unfamiliar, bringing 22,000 Earth and space scientists together in New Orleans instead of the usual San Francisco. 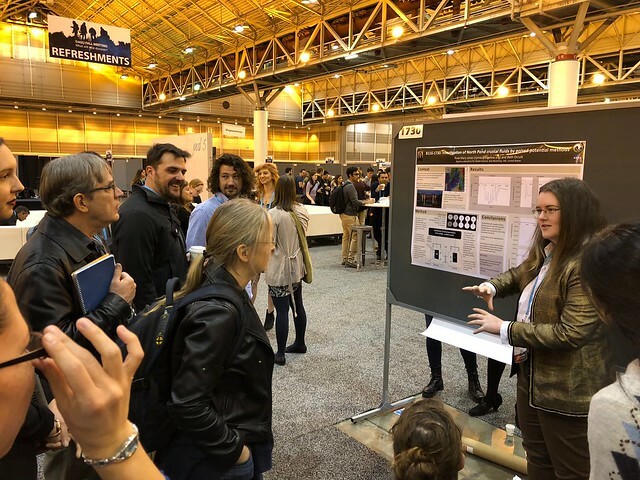 The 2017 American Geophysical Union (AGU) Fall Meeting (11-15 December 2017) embraced the unfamiliar, bringing 22,000 Earth and space scientists together in New Orleans instead of the usual San Francisco. 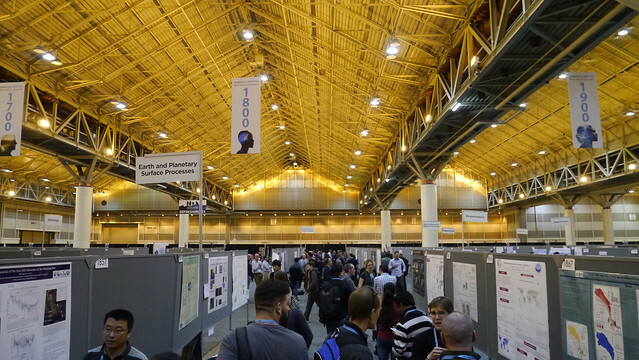 Deep carbon science was again ubiquitous, with more than 200 talks and posters throughout the week either involving DCO scientists or of potential topical interest to DCO attendees. DCO’s early career scientists formed a strong contingent of the DCO presence, giving approximately 25% of all DCO-related presentations. This year’s Norman L. Bowen Awards provided special recognition and honor to two DCO scientists. Award recipient Bernard Marty (Centre de Recherches Pétrographiques et Géochimiques, France) presented an award lecture on the origins of Earth’s volatile elements. Recipient Craig Manning (University of California Los Angeles, USA), chair of the DCO Executive Committee, delivered an award lecture on deep fluids in the lower crust and upper mantle. Their citations, delivered by DCO colleagues Chris Ballentine (University of Oxford, UK) and Peter Kelemen (Lamont Doherty Earth Observatory, USA) highlighted Marty’s and Manning’s significant career contributions to the Earth and planetary sciences. The Norman L. Bowen Award is bestowed annually “in recognition of outstanding contributions to volcanology, geochemistry, or petrology.” Marty and Manning join a list of distinguished past recipients, including their DCO colleagues Peter Kelemen, Eiji Ohtani, Marc Hirschmann, Donald Dingwell, and Mark Ghiorso. Several DCO scientists took part in this year’s Up Goer Five Challenge, in which researchers are challenged to present their work using only the most common 1000 words in the English language. DCO scientists also joined forces with C-DEBI for a deep life-focused poster swarm led by Beth Orcutt (Bigelow Laboratory for Ocean Science, USA) during session B11G. 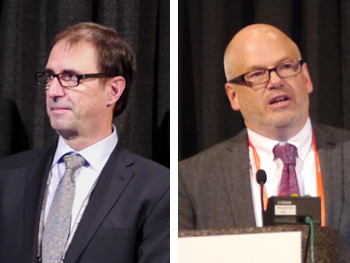 Several DCO committees organized meetings of opportunity in conjunction with AGU. Synthesis Group 2019 brought together authors of chapters in the in-progress book “Whole Earth Carbon,” and also met with members of Task Force 2020 to coordinate goals, products, and outcomes ahead of DCO’s culmination in 2019. The DCO Executive Committee held a dinner meeting to discuss synthesis, engagement, and modeling and visualization progress and future plans. During the meeting, Executive Committee Chair Craig Manning also presented the 2017 DCO Emerging Leader Awards to Taryn Lopez (University of Alaska Fairbanks, USA) and Daniel Hummer (Southern Illinois University, USA). The third award recipient, Alberto Vitale Brovarone (IMPMC, France) was recognized in absentia. Following the Fall Meeting, DCO’s “Biology Meets Subduction” research team convened for a four-day integration session focused on the data collected earlier this year. Each year, AGU presents an opportunity for DCO colleagues from around the world to share their research and collaborate in person. Stay tuned for more exciting deep carbon science at the 2018 AGU Fall Meeting in Washington, DC. View a gallery of photos from the conference. AGU 2018 Fall Meeting abstract submission deadline is 1 August 2018, 11:59 P.M. EDT.